HBO programming chief Casey Bloys announced the news at HBO's session at the TV Critics Association press tour, saying production is scheduled to begin in October with hopes that the movie will air on HBO in spring 2019. 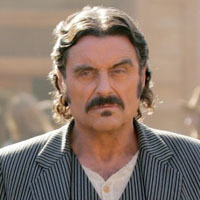 “I can finally-finally confirm we are greenlit on Deadwood movie … it will shoot in October,” Bloys said. Deadwood creator David Milch is writing the movie, with director of four episodes Daniel Minahan directing the film. When asked for details about the movie and its cast, Bloys said: "Let's take the green light and celebrate that." Bloys added, regarding casting, that "it has been a logistical nightmare getting it together."